The River Building at Grace Farms on Sept. 13, 2016 in New Canaan, Conn.
NEW CANAAN — Attempts made by Grace Farms Foundation in its March 27 special permit application to demystify its current function and future plans fall short from a regulatory perspective, according to neighbors. Through their lawyer, Amy Souchuns, of Milford-based Hurwitz, Sagarin, Slossberg and Knuff, David Markatos and Jen Holme, who live adjacent to Grace at 1328 Smith Ridge Road, submitted an April 13 rebuttal to the foundation’s application that seeks the freedom to function as a religious, philanthropic and foundational institution. Also in its application, Grace agreed to shorten its hours (from those listed on its 2013 special permit), increase tree coverage to better block neighbors from light and noise pollution, cap the number of events permitted per year and the number of attendees and initiate a Neighbor Outreach Plan. Holme and Markatos also noted in their memo that, though Grace is claiming to reduce its hours to 10 a.m. to 7 p.m. Tuesday through Saturday and noon to 7 p.m. on Sunday, it is actually an expansion of hours as listed on Grace’s website, which lists a 6 p.m. closing time. The 2013 special permit allows daily hours 7 a.m. to 11 p.m.
Markatos and Holme sought the opinion of former Connecticut Superior Court Judge Robert Fuller, who has written and spoken extensively on issues of land use in the state. Fuller concluded that, based on New Canaan zoning regulations that allow only single family dwellings in the four-acre residential zone, multiple uses as proposed by Grace could not be permitted. 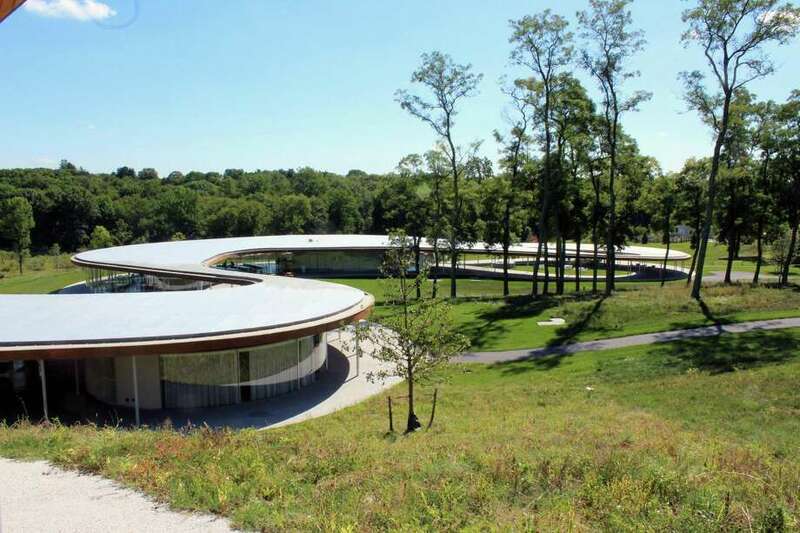 Grace Farms, in its application, listed other examples of multiple primary uses on a single property in town — including the existence of an Art Workshop and day care at the New Canaan Nature Center and operation of a day care at St. Mark’s Episcopal Church — though Fuller opined that, because the philanthropic and foundational uses sought by Grace were not directly related to its religious use, the examples did not apply. On April 10, a request was denied in state Superior Court to dismiss parts of a lawsuit filed by Timothy Curt and Dona Bissonnette, also of Smith Ridge Road, that alleges Grace caused sediment to enter their property and damage wetlands. The lawsuit will be decided at a later date. As for the continued battle between Grace and its neighbors, Grace’s application will be heard by the Planning and Zoning Commission at its April 25 meeting.